Kenyan members of parliament are known to be notorious, NTV news anchor proved that he too can be notorious and fail to recognize an MP. The host of The Trend Larry Madowo took to social media to share after he “bullied” a politician who was breaking the law. 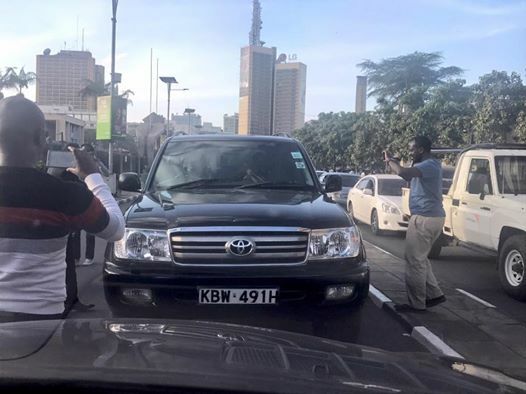 Larry said he blocked a sitting Member of Parliament (MP) who was using the wrong side of Parliament Road, which forced the MP to reverse his vehicle. That didn't stop the lawmaker from doing wrong as he proceeded to use the wrong side of the road after Larry drove off. What is even worse, a traffic police man was there and he couldn't do anything.